It is not easy to take that first step and come to counselling. Many people think that it is a sign of weakness and this prevents them from getting the help they need to get their lives back on track. In contrast, we see ‘coming for counselling’ as a sign of strength! It shows a self-awareness that things are not right and are particularly difficult to tackle on your own. The first step is to make an appointment. The initial meeting will take 1-1 ½ hours as your counsellor will want to understand your problem fully and to assess your suitability for treatment. You will be asked about your family history, education, medical history amongst other things. In this way we can make sure that you get the best help possible. We offer a range of therapeutic approaches such as person-centred therapy (this is an exploratory approach), solution focused (this approach is more about problem solving), cognitive behaviour therapy (this looks at how your thoughts and feelings are working in patterns and cycles) and eye movement desensitisation and reprocessing (this is a special treatment for sufferers of trauma) and trauma focused cognitive behaviour therapy (another treatment option for trauma). We also offer psychodynamic counselling, which can be short- or long-term. It can address deep-seated issues and patterns of behaviour which may have their roots in our past experiences. Exploring these issues can help us to understand why we react as we do in the present and allow us to make changes. Typical problems that we encounter on a regular basis include depression, stress, anxiety, bereavement, relationship difficulties, identity issues, phobia, health related anxiety, OCD, post-traumatic stress disorder and many others. Once your counsellor has conducted the initial assessment, she will discuss with you what the best approach will be. This will be fully explained to you. You will then be asked to arrange to come for counselling on a regular basis (usually once a week) for 50 minutes. The number of sessions required depends on your type of problem and your level of engagement with the process, but your counsellor will give you a rough guide at assessment. Your counsellor is bound by a code of confidentiality and ethics published by the British Psychological Society and/or British Association for Counselling and Psychotherapy, and by the code of conduct by the Health Professions Council. : To make a referral please ring our office mobile: 07501 251681. You will be asked to leave a message and one of our counsellors will telephone you back. Dr Joanna Nowill is a Chartered Psychologist and qualified practitioner of EMDR and CBT. Joanna is accredited by the British Psychological Society and registered with the Health Professions Council. 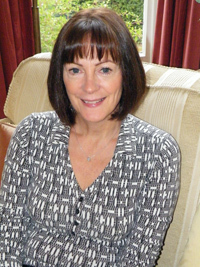 Joanna is also a member of the British Association of Counselling and Psychotherapy. She has worked as a counselor in a variety of settings including forensic, NHS and private counselling agencies. 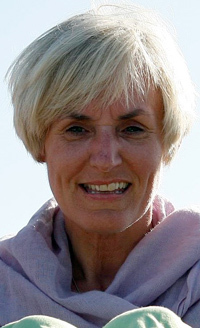 Joanna is experienced in working with sufferers of trauma and general psychological problems. She is also an NLP practitioner and a qualified practitioner of hypnosis. 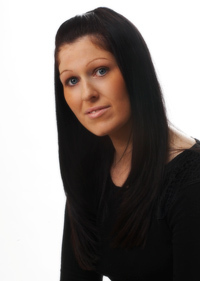 Samantha Lindley is a qualified practitioner of EMDR and CBT. Samantha is also a chartered counselling psychologist and has a long experience of working in a range of clinical settings including forensic services. She is particularly experienced in working with sufferers of trauma. Samantha is accredited by the British Psychological Society and she is registered with the Health Professions Council. Currently Samantha is working in the NHS part time. Nicola has a diploma in psychodynamic counselling, and also trained at Relate as a couples counsellor, where she currently works part-time. She has worked for two of the largest providers of counselling services in the county for several years, gaining experience with a wide range of clients with many different issues. She is an accredited member of the British Association for Counselling and Psychotherapy and as such adheres to the BACP ethical framework. As a couples counsellor Nicola hopes to create a safe space where you both feel you are being listened to, by her and by each other. The initial session will explore why you have come for couple counselling and work out together the main areas you would like to cover in the sessions. This may include looking at issues such as communication, conflict, sexual difficulties, affairs and domestic violence. Nicola aims to help you to be honest with each other about your needs and expectations an to negotiate how you might each work to improve your relationship. Couples counselling tends to be short term, typically lasting around 10-12 weeks, but this will be flexible according to your needs. Nitika Jain is a Chartered Counselling Psychologist, accredited by the British Psychological Society and registered with the Health Professions Council. Nitika works with families with children who have complex mental health needs. She also runs specialist parenting programmes. Nitika has wide-ranging experience, including children’s centres, NHS settings, child and adolescent mental health services and private work. She works with a range of disorders including attachment issues, eating disorders, PTSD, mood disorders, children who self-harm, school refusals, conduct disorders including anger management and behavioural difficulties, ADHD and autism.